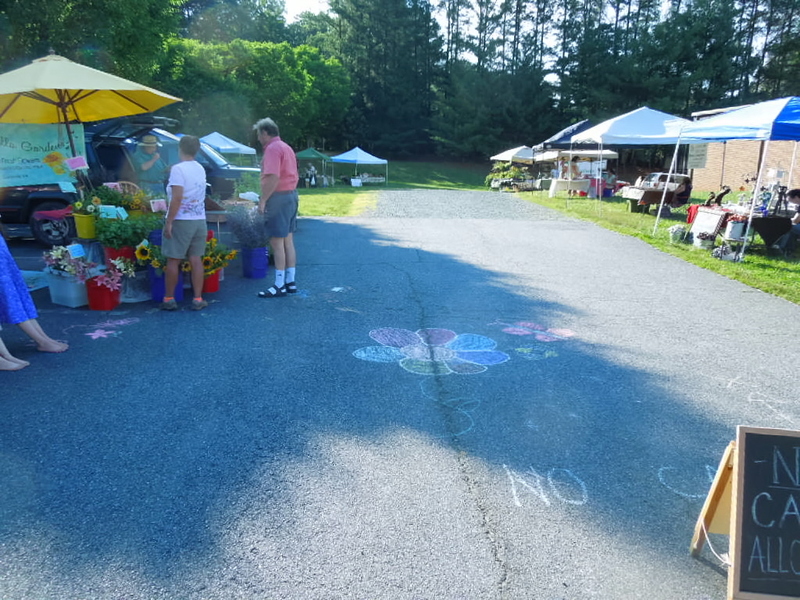 Earlysville Farmers Market can be found just beyond the shopping ‘hub’ at 4167 Earlysville Road, Buck Mountain Episcopal Church, on the right in the parking area for Parish Hall, just beyond the actual church lot. The market sets up under the canopy of trees to the south ( right) of the Parish Hall building, parallel to the road. 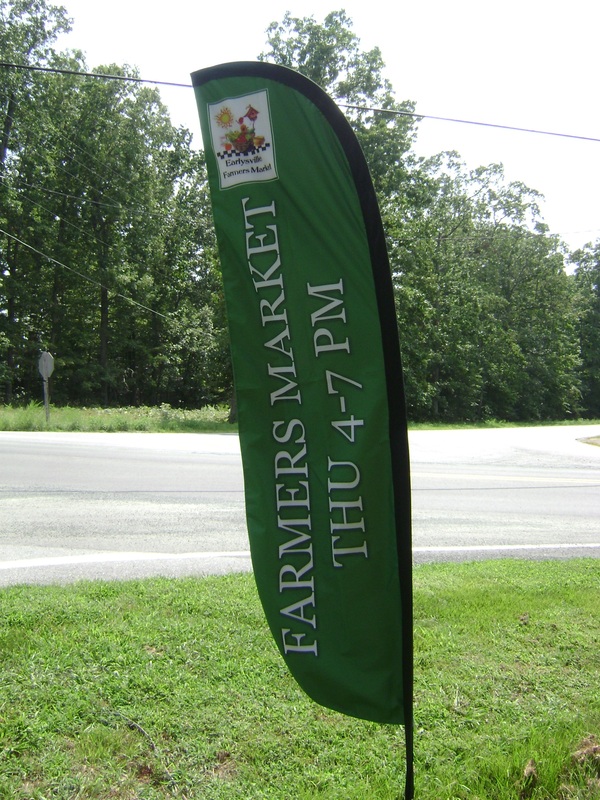 Look for our bright green Market feather banner!! You can’t miss us as you’ll see our brightly colored tents and umbrellas set up to the right from where you will park. We will assemble every Thursday from 4 – 7 pm. You’ll discover local fresh vegetables, fruits, plant starters, cut flowers, potted plants, luscious baked goods, breads and a variety of local artisan wares and much more. We open our market in MAY and plan to run through October, 2013. Our email address is evillefarmersmkt@embarqmail.com, in case you have any questions or you may call the Market Manager, Wendy Russo, at 434 978 2058. We’re about 10 minutes from Route 29 and the Charlottesville Airport, Hollymead Towncenter, 15 minutes from Ruckersville and about 20 -30 from Charlottesville area. Come by and check us out. This will be our sixth season and we’re so excited to see you there! We seem to move around a lot but continue to offer the community all the fresh color and bounty of the season! we so enjoyed the festive & friendly atmosphere of the market last year. We look forward to attending this year! Little Neva's Bakery You may order our baked goods from our ETSY shop! Little Neva's Bakery information website Here you’ll find basic info on what we sell, how we make it, how you can benefit from our products!